Effective from the 1st of January 2018, room rates will be increased from £22 to £23 per session. The kitchen fee will not increase. The trustees made this decision because our insurance premium was increased from £1,000 to £2,500 following a revaluation of the building together with rising utility bills. The Trevithick Room now boasts a new carpet and lovely curtains. There are also 80 new comfy chairs. The chairs and the curtains were paid for with the help of grants obtained with the Hayle Film Club. And the carpet was donated by TJ’s Carpets Ltd of 58 Mellanear Road, Hayle (01736-757540). We are very grateful to them and our many friends for their support. 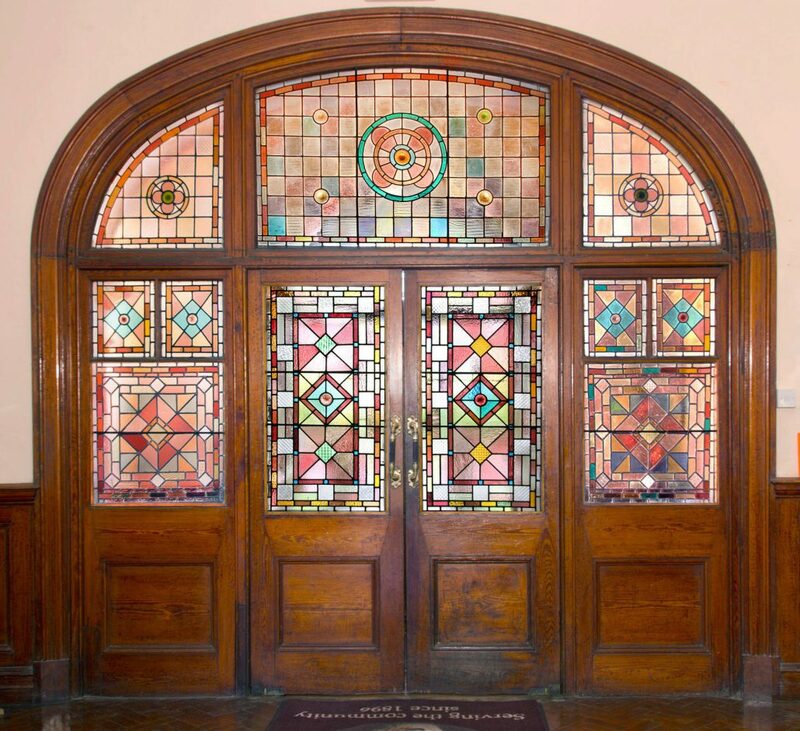 We have fully restored the stained glass at the entrance. These are a very attractive part of the original Institute and the Trustees are delighted to finally be able to restore them properly.